On The (Rail) Road Again? ALL ABOARD! Members of the West Central Wisconsin Rail Coalition are pondering ways to bring passenger rail to the Chippewa Valley, likely through a partnership between public and private entities. You’d better look both ways, because there could be a train coming. That’s the message of Chippewa Valley rail travel advocates, who are busy creating a plan for a public-private partnership to foster passenger rail service between Eau Claire and the Twin Cities. One way to look is toward the past: It’s been more than 50 years since Eau Claire had regular passenger rail service, and five years since Wisconsin passenger rail advocates were frustrated by Gov.-elect Scott Walker’s decision to reject federal funding for high-speed rail. The other way to look is toward the future: Creative passenger rail initiatives around the nation – and the collaborative nature of the Confluence Project development closer to home – are providing inspiration for the potential rebirth of passenger rail in the Chippewa Valley. “We’re looking forward, not back,” emphasizes Scott Rogers, chairman of the West Central Wisconsin Rail Coalition. “I think the innovations need to be looked at … in states that are moving forward.” Such examples range from the Hoosier State service (a partnership among the private Iowa Pacific Railway, Amtrak, and the state of Indiana) to the Eastern Flyer (another Iowa Pacific project, which will provide service between Oklahoma City and Tulsa, Okla.) to All Aboard Florida (which is creating an express service between Orlando and Miami without any government funding). Such optimism is tied in part to a new partnership the coalition is building. Two major local businesses – Royal Credit Union and JAMF Software – have signed on to a new organizing council, which the coalition hopes will eventually involve about 20 businesses and organizations between Eau Claire and the Minnesota border. These leaders will then create a new nonprofit group, hire an executive director, and begin to explore in greater depth how passenger rail could be fostered in western Wisconsin. After Walker turned down the federal railroad funding in late 2010, Anderson says the rail coalition decided it couldn’t just wait for the government anymore. The group began to pursue a business plan for a public-private partnership, the latest version of which was completed in June. In addition, the group has also created a draft funding plan, which envisions a mixture of private investment, bonds, loans, and government funding to pay for a rail initiative. The total cost: Roughly $251 million to launch 80-mph passenger train service four times a day between Eau Claire and St. Paul. 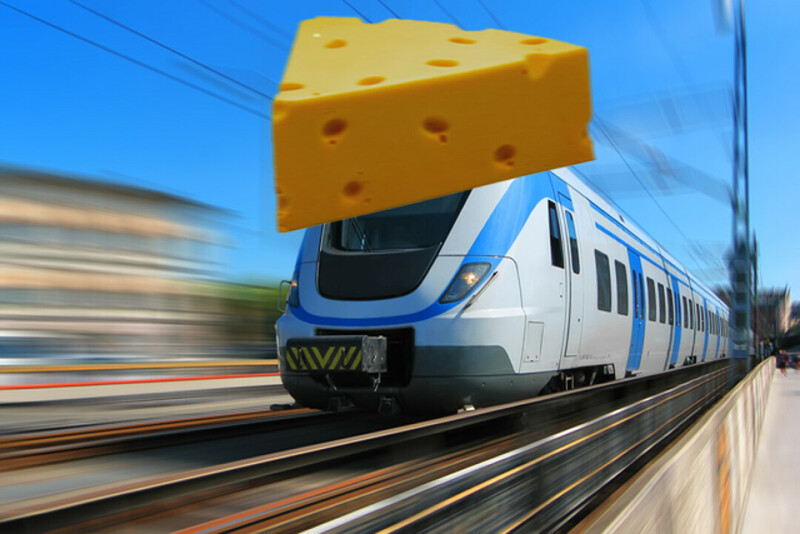 Such service is already on the radar for transportation planners in both states: A Twin Cities-to-Eau Claire route was reaffirmed as a top Minnesota priority earlier this year, while it’s a long-term priority in the Wisconsin State Rail Plan 2030. Coalition members point out that Eau Claire is well-positioned for rail travel: It’s on the most direct route between Chicago and the Twin Cities; the Interstate 94 corridor between Eau Claire and the Twin Cities is a busy one; and the existing Union Pacific freight rail line could be repurposed for passenger travel. “It’s a good time to let people know that this isn’t something that’s gone by the wayside, but that’s it’s a real possibility for the future,” Rogers said.